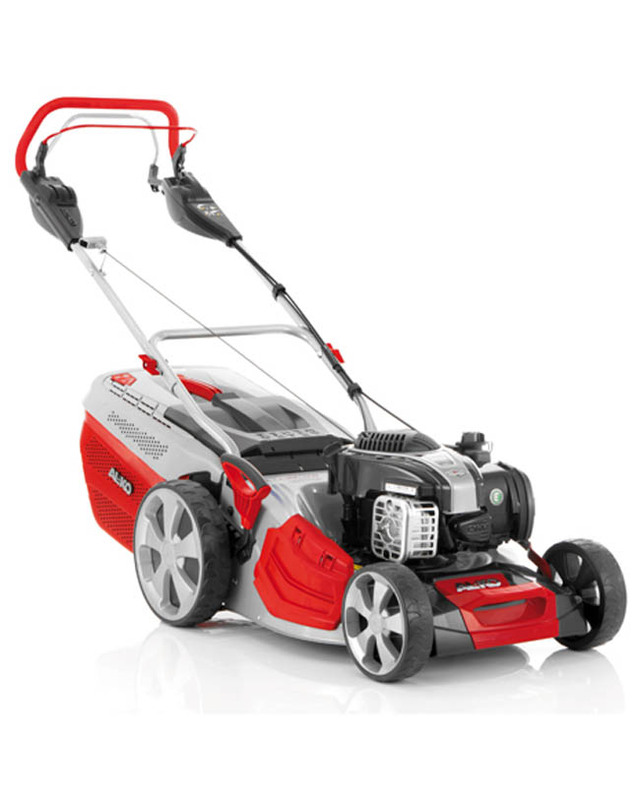 The AL-KO 473 SP is powered by 140cc Briggs and Stratton 550 Series engine. Cutting width is 18 inch/46cm. This mower is self-propelled. Operator comfort and convenience is ensured by the ergonomic control layout, all drive, forward speed and engine controls are easy to operate and are grouped on the strong, folding handles. With the handles folded, the AL-KO 473 SP can be stored in a space saving position.